I was roughing out a box for a layout concept I was working on, and decided to take a different tack. But I still had the faint beginnings of a box on my paper. I couldn’t very well just leave it there unused, now could I? That would be irresponsible and wasteful. 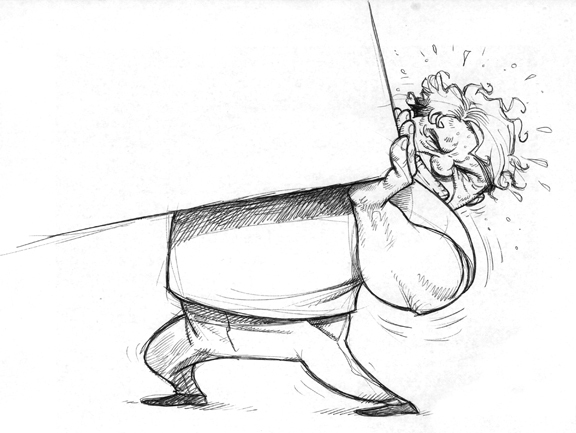 So I drew a beefy guy struggling to lift the box, which was deceptively heavy considering it was only half-drawn. Boxes are like that sometimes. Especially doodled ones. I was contacted recently by an Army lieutenant stationed in Iraq. He had seen a previous post by me about squirrels, and asked me if I could modify it a bit for their platoon mascot. Of course, I jumped at the chance! 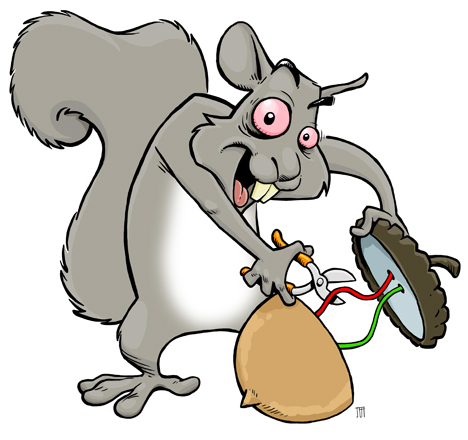 So, here he is…in all his insane glory…the Dirty Squirrel. You can buy posters of this here. Our local police departments post their latest mug shots online. This provides a great resource for doing face studies. 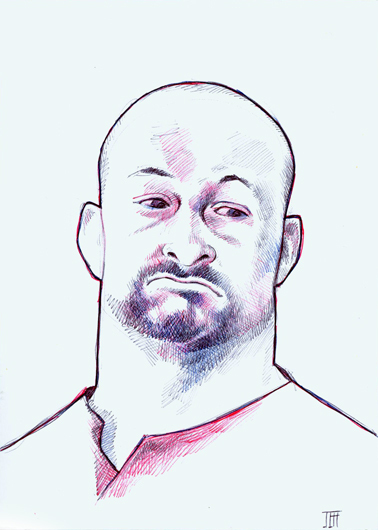 I did this quickie sketch in about 15-20 minutes using red, blue and black Bic ballpoint pens.